RRP $1050. TS-SAMP1-100-BL. Please enquire for special pricing. 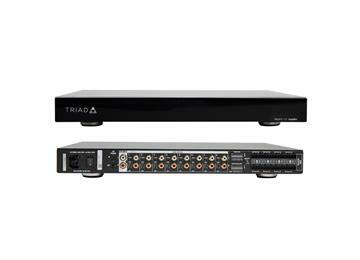 The Triad One amp is a single-zone, high-resolution streaming amplifier and the easy way to add music to any room of a Control4-enabled home without the need to pull wire back to a central location. 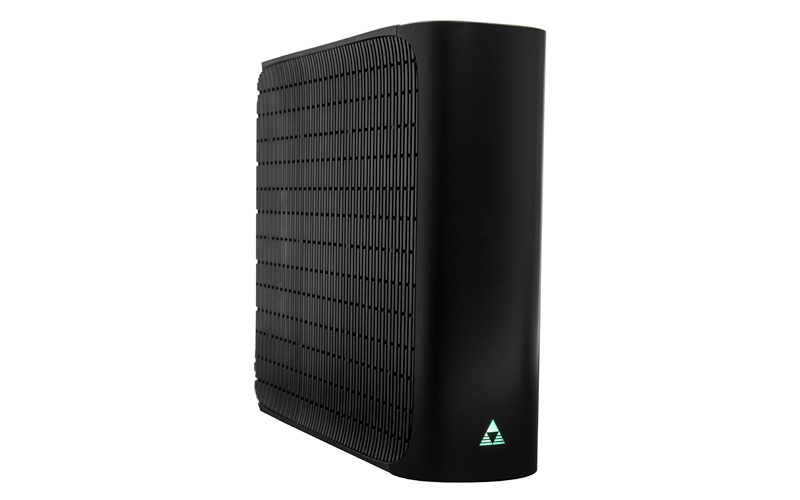 The Triad One supports high-resolution audio playback, up to 192 kHz / 24 bit, with a built-in amplifier boasting an impressive 105 dB signal-to-noise ratio and 100 watts per channel—enabling incredible sound in any room. Also included is a built-in 10-band EQ delivering exceptional sound output and room optimisation. The Triad One is also a great alternative to an AVR in a bedroom, kitchen, or other location when surround sound is not a requirement. 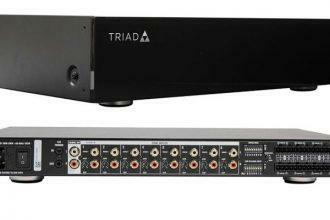 Not only does the Triad One have digital and analog audio inputs to take the audio output from a TV to power a soundbar, it has two IR outputs to control the TV and another local source if needed. RRP $1200. TS-PAMP1-200. Please enquire for special pricing. Featuring 200W per channel at 4 ohm in stereo mode or 300W when driving one channel, the Triad 1-Zone High-Power Amplifier is an excellent choice to drive Triad passive subwoofers, Designer Series, and other speakers with high-power demands. RRP $1800. TS-PAMP4-100. Please enquire for special pricing. The Triad 4-Zone Power Amplifier is a high-performance, whole-home audio amplifier that provides high-resolution music playback in a compact form factor—the perfect solution for distributed audio systems. Designed around time-tested and reliable ICEpower technology, the 4-Zone Power Amplifier delivers 100 watts per channel at 4 ohm and is bridgeable to 200 watts for installations where more power is needed. Superior audio quality and fast wake-from-standby make this amplifier ideal for every audio enthusiast’s home. RRP $2230. TS-PAMP8-100. Please enquire for special pricing. Triad 8-Zone Power Amplifier delivers high performance, reliability, and robust amplification for the whole home in a compact form factor. Providing the perfect solution for distributed audio systems. Designed around time-tested and reliable ICE power technology, the 8-Zone Power Amplifier delivers 100 watts per channel at 4 ohm of high-resolution audio. Superior audio quality and fast wake-from-standby make this amplifier ideal for every audio enthusiast’s home. Over-current and thermal protections prevent damage due to short circuits, incorrect wiring, or heat. RRP $4200. C4-8AMP-R284. Please enquire for special pricing. This four-zone audio package is a perfect starter package that delivers high-quality sound from the powerful Control4 4-Zone Matrix Amplifier and four pairs of Triad R28 in-ceiling speakers. Pair it with an EA-3 or EA-5 Controller to deliver beautiful sound throughout the home. The 4-Zone Amplifier is IP controllable and features an integrated matrix switch that allows you to share up to four source inputs across four music zones. The amp features 60W of high-quality sound and includes an advanced parametric equalizer. Full matrix switching, and volume-limiting capabilities. 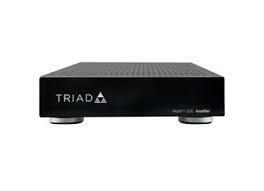 This package contains four pairs of Triad R28 in-celling speakers that handle up to 125 watts of power. Features a quality 8-1/2Ó carbon fiber woofer for full bass, and an adjustable and aimable tweeter for greater clarity at the listening position. The classic round shape grill is designer-friendly with a micro bezel. Square shape grill available for an additional fee. The speaker can retro-fit into an existing ceiling, and new construction brackets are also available. Installation is simple and straight forward. Custom paint matching is available from Triad, at a modest cost. This R Series speaker delivers exceptional performance and value with an elegant, unobtrusive appearance. RRP $8500. C4-16AMP-R288. Please enquire for special pricing. 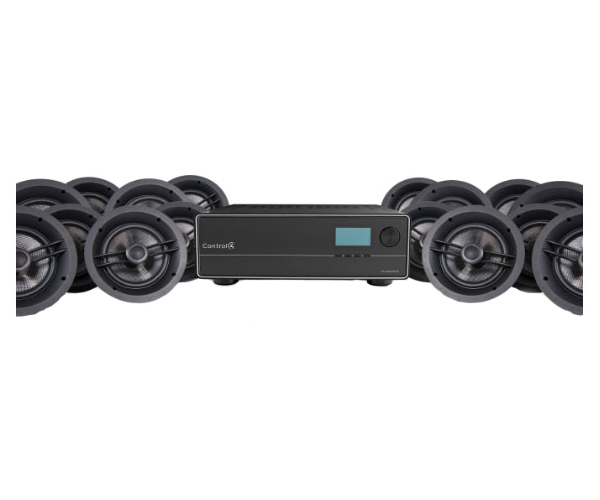 This eight-zone audio package delivers high-quality sound from the powerful Control4 8-Zone Matrix Amplifier and eight pairs of Triad R28 in-ceiling speakers. Pair it with an EA-5 Controller to deliver beautiful sound throughout the home. Regardless of the size of your home or project, you’ll enjoy a powerful, multi-room music solution that’s fully integrated into your Control4 system. The amp features 120W of high-quality sound from 8 analog input sources in 8 speaker output zones, advanced parametric equalizer capability with the Control4 Equalizer app which drives professional quality sound, full matrix switching, and volume-limiting capabilities. This package contains eight pairs of Triad R28 in-celling speakers that handle up to 125 watts of power and features a quality 8-1/2Ó carbon fiber woofer for full bass, and an adjustable and aimable tweeter for greater clarity at the listening position. The classic round shape grill is designer-friendly with a micro bezel. Square shape grill available for an additional fee. The speaker can retro-fit into an existing ceiling, and new construction brackets are also available. Installation is simple and straight forward. Custom paint matching is available from Triad, at a modest cost. This R Series speaker delivers exceptional performance and value with an elegant, unobtrusive appearance.